Are you interested in rescuing a puppy? Are you interested in getting a pure breed through a breeder? Whether he is a pure bred or a mutt from the shelter, this dog is sure to give you the love and affection you seek. A lot of responsibility is involved, and reading this will help you understand what you can expect. It is expensive to own a dog. You will have to spend between $700 and $1000 a year to cover food and medical expenses. Also, emergency care is a lot if your dog was to ever get sick; you may want to think about pet insurance. Your home must be dog-proofed. Your entire home should be safe prior to bringing the dog inside. Hide medications and chemicals, cover your trash, and put food where he can’t get to it. Some very common plants are quite toxic to animals, so always make sure they are out of reach. 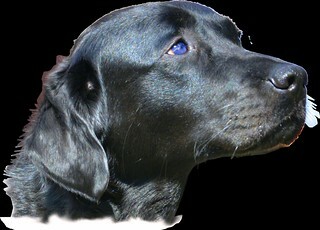 Your dog cannot communicate through speech; therefore, you must learn its non-verbal language. If it seems as though your dog holds back when around other dogs or people, don’t insist that they interact. This may lead to someone getting bitten. Look for your dog’s non verbal cues and react accordingly. Don’t give your dog leftovers from your own plate. This will make him beg more often, and he may gain a preference for human food. “People food” can also make dogs sick and contribute to obesity. You can keep your dog healthy and avoid any temptation to feed it from the table by teaching it to spend dinnertime well away from your family. Allow your lifestyle to dictate the type of dog you adopt or purchase. If you jog a lot, buy a dog that likes to run, and not something like a toy poodle. If you like to stay at home, perhaps you would like a small dog. Selecting the right dog will make you both happier. Regularly brushing your dog’s fur won’t just stop your pet from shedding on your furniture. Brushing keeps the coat shiny and healthy. The reason for this is that brushing distributes a dog’s oils from its skin so it looks soft and shiny. Providing foster care for a homeless dog can be a great way to see if you are suited to care for a dog. Shelters are full of animals who need a loving home, and there’s not room to hold all of them. You can give a hand by fostering a dog without a home and try on the role of dog owner too! Trimming around the paws of your dog will ensure your dog’s fur doesn’t get matted. Prior to trimming it, straighten the fur using a comb. If you’re uncomfortable trimming hair, you should probably have your dog groomed by a professional. Certain breeds of dog are prone to certain health problems, and you should be aware of what’s typical for your type of dog. Research his ancestry and take steps to prevent problems he might be prone to. You can also speak with your vet about any precautionary measures you can take to help your dog avoid the problems associated with his breed. Even if you are looking for a dog that is a pure breed, always check the local pound. A lot of dog owners leave their pet at the pound if they do not want them or cannot keep them. All you have to do is give your local shelter a call, and you can find out which breeds they have. When you adopt a dog, you save its life. Dogs need to be exercised physically and mentally in order to stay healthy. Make sure he can get the paper and help you around the house. This kind of play will make your dog feel like a contributing member of the family and keep his mental functioning at a high level. This article has provided you with an understanding of what your dog will need, so go find your new pup! Keep reading to find out new things online! Join online forums and mailing lists to talk to other owners. You will gain valuable information by doing so.